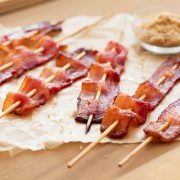 For a surefire party winner, try this skewered bacon recipe involving brown sugar and a little heat! Weave bacon through skewer and place bacon on paper-lined baking sheet. In a medium bowl, mix brown sugar, spice and salt. Sprinkle sugar-spice mixture on both sides of bacon. 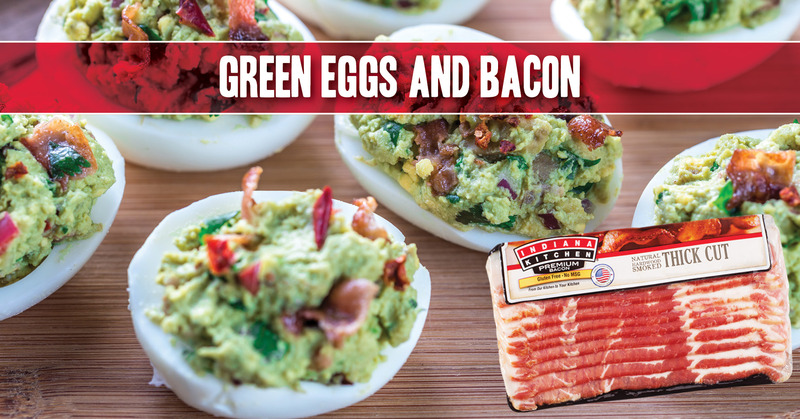 Place in oven for 25 to 45 minutes, or until desired degree on doneness, flipping bacon halfway through baking time. Layer the bottom of slow-cooker with garlic and onions and add chicken broth. Combine sugar, chili powder, salt, cumin, and cinnamon in small bowl. Pat dry the pork with paper towel then rub spice mixture all over meat. Place pork on top of garlic and onions. 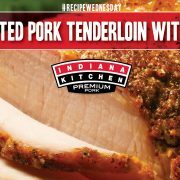 Cover and cook until pork is fork tender, approximately 6 to 8 hours on high, 8 to 10 hours on low. 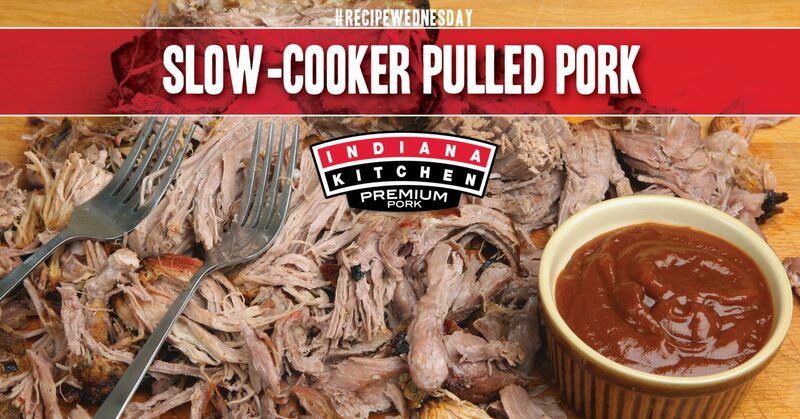 Remove pork from slow-cooker and place on cutting board. Remove and discard bone. Pull pork apart with two forks, discarding any large pieces of fat. 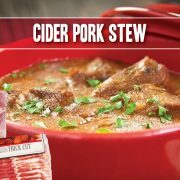 Pour remaining slow-cooker liquid into a heatproof bowl through a strainer. Place solids back into slow cooker. Save liquid if desired. 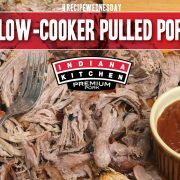 Return pulled-pork to slow-cooker set on warm. 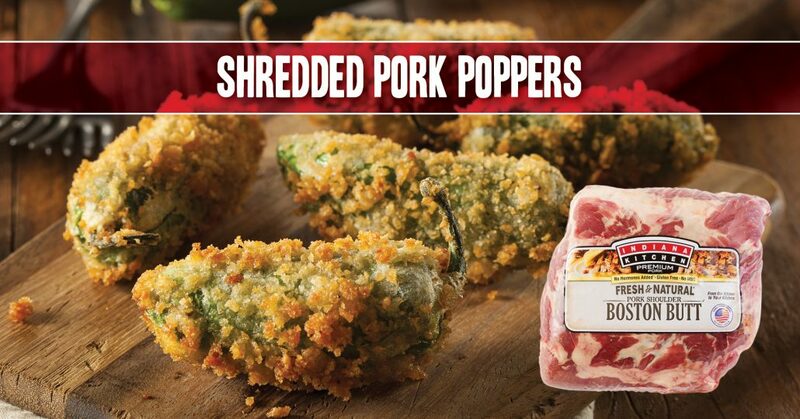 If using barbeque sauce, combine with meat now. 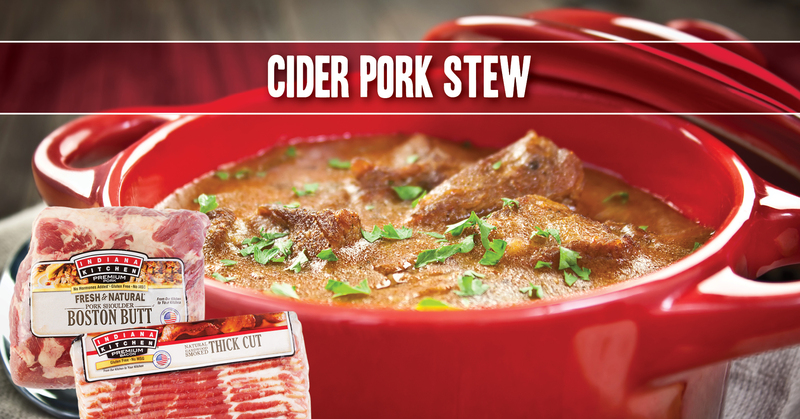 If not, use strained liquid, adding ¼ cup at a time until pork is just moistened. Preheat the oven to 375°. Set the tenderloins on a large rimmed baking sheet. In a small bowl, mix the smoked paprika with the cumin, garlic powder, oregano and cinnamon. Rub the pork with olive oil and season with salt and pepper. Sprinkle the spice mixture all over the pork. Roast the tenderloins for about 25 minutes, until an instant-read thermometer inserted into the centers registers 145°. Transfer the tenderloins to a cutting board and let rest for 10 minutes. Slice the tenderloins 1/2 inch thick and serve. 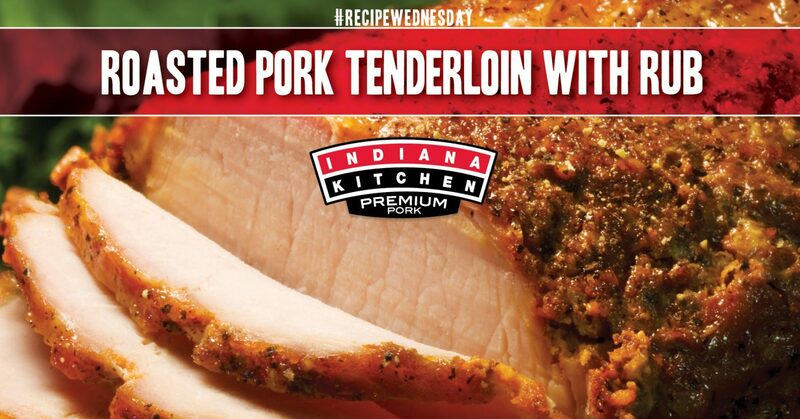 This blend of flavors is unexpected, yet delicious, when paired with tenderloin. 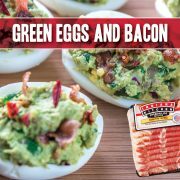 Use as a fill for corn tortillas or crunchy shells for a Tex-Mex flair, or serve plated with tenderloin atop avocado crema. Combine pineapple juice, chipotle chilies, garlic and 1½ teaspoons salt in food processor. Puree. Reserve about ½ cup of the marinade for glazing. 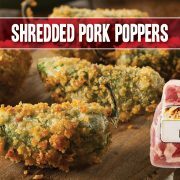 Place remaining marinade and pork in a resealable plastic bag. Marinate for 2 hours in the fridge. Rotate and disperse marinade periodically, if possible. Heat grill to high. Clean and oil the grates. Thread the onion rounds onto skewers through the outer slice, drizzle with oil, and season with salt and pepper. Grill the onions until charred on all sides. Set aside to cool. Lightly season tenderloins. Grill on all 4 sides, frequently basting with the reserved marinade. Cook until golden brown for 8 to 10 minutes per side and internal temperature registers 145. Cover loosely with foil, and rest tenderloin for 5 minutes. Mince cooled onions, and season. 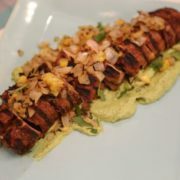 Slice the pork, and serve with a dollop of avocado crema. Garnish with chopped cilantro and charred onions. Combine cilantro, Mexican cream, avocado and lime zest and juice in a food processor, and run until smooth. Cover with plastic wrap pressed on top until serving to keep crema from turning brown. For a charcoal grill: prepare an indirect medium-hot fire with drip pan in the center. For a gas grill: heat grill to medium and turn off burners directly below where Indiana Kitchen ribs will go. During last 20 minutes of cooking Indiana Kitchen ribs, baste ribs with sauce. 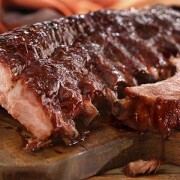 Ribs are done when meat pulls away from the bone.